The Micro Swift is possibly the smallest and lightest CCD FPV camera on earth. In this review we will have a look at the hardware quality, and how it compares to the regular Runcam Swift FPV camera in terms of image quality. Update: There is a new version – Micro Swift 3! 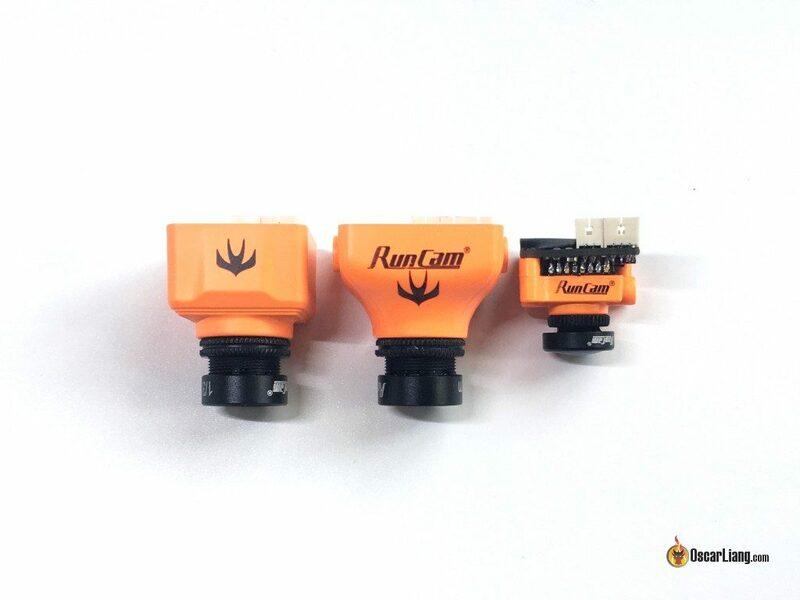 Runcam is on fire recently: not long after they released the compact FPV camera Swift Mini, they are breaking the world record again with the Micro Swift! It only weighs at a shocking 5.6g! Don’t let the tiny form factor fool you, the Micro Swift have the same performance as the original Swift and Swift Mini. There are smaller and lighter FPV cameras out there I know, but the micro Swift is a CCD camera while those “smaller” cameras are CMOS with old technology with very poor wide dynamic range performance. You can still change camera settings with OSD, great. However it doesn’t do VBAT OSD (displaying battery voltage in FPV Goggles) like it does with the Swift 2. It’s really hard to believe CCD FPV camera can be made this tiny! Not to mention the 6g weight reduction in the camera alone is pretty insane! I think it would be perfect for FPV micro quads, as well as ultra light racing drones (e.g. 4″ and 5″). The light weight of Micro Swift comes at the cost of less protection to the camera. As you can see, the camera housing only covers the sensor but not the whole PCB. Another thing to be aware of is lack of water resistance due to the exposed PCB. This reminds me of the “board cameras” we used back in 2015, which had similar design. Maybe the fashion is going backward :) but just smaller this time! Guess I will have to bring back the liquid tape too for our FPV cameras! On the housing there is a mounting hole to fix the camera in a frame with tilt angle, just like an regular FPV camera. But the type of mounting solution is yet to be confirmed. We have confirmed the price of Swift Micro at $29.99 (before tax). I am a bit disappointed to see the lack of mounting solutions, such as a bracket mount. But I guess we will have to rely on 3D printing for now, and compatible mounting from frame manufacturers in the future. The back of circuit board is protected by a plastic sheet (feels like PVC). It’s held in place by glue and 2 screws. Before I even got hold of the Runcam Micro Swift, there had been speculation of the Micro using the same PCB as the Mini. So the first thing I did was to to take it apart, and checked the weight and size of the printed circuit boards. It’s very easy to take apart the Micro Swift, there are only 2 screws holding the camera lens and case. From left to right: Runcam Swift 2, Swift Mini, and Micro Swift. As you can see, the boards looks nearly identical from appearance between Swift Mini and the Micro. And here are the weight differences across the Runcam Swift line. At this point, I am pretty sure the Micro is the same as the Mini apart from the smaller lens and reduced housing. When I look closer at the sensor, I could see it’s well secured by a good amount of clear glue. Another good news is there is no dangling components in the camera. On the left is the Mini, right is Micro. You can see the IR filter of the Mini is directly applied on the sensor, while the Micro is on the lens thus the missing “glass” on the sensor. Both cameras are IR Blocked. Therefore the Micro Swift PCB are not interchangeable with the Mini. micro swift 1 is 16:9 ? All Swift and Micro Swift are CCD, and they are 4:3. The only cameras with 16:9 are Cmos cameras. There are reports that the 2.3mm lens on these cameras are defective with loose lens elements causing the image to vibrate. I am having problems with mine but am still sorting out if it is an issue with mounting of the camera rather than the lens. Others though have seen the problem go away when they swap in a 2.1mm lens. I personally find 2.1mm wider than optimal and do not want to solve the issue in this way. But when you do your follow up review could you please test a 2.3 lens? How can we access the internal camera OSD settings? No, it has not been shopped. A little further down you can see a picture that also shows the back, but at a slight angle (probably taken by Oscar whereas the first ones are pictures from Runcam). You can see, that there’s just a little cover for the PCB installed, most likely so the pin layout could be printed on something. A little silicone conformal coating will fix that right up. I coat all the camera boards on my quads and haven’t lost one due to water yet. Does it show voltage on OSD without OSD on FC ? No, it’s just like the original swift, no OSD displayed during flight. If you think about it, the cameras in our cell phones are much, much smaller. If we didn’t need a swappable lens a camera around 1-2g should be easily possible. Cell phone cameras have no processing or OSD on them. Their ciruitry is also very small. They are not CCD either. There are already lots of smaller FPV cameras available. However, they are CMOS cameras, not CCD. CMOS is not very good for FPV. It has worse dynamic range light handling so you have more problems with too much light blowing out your image and blinding you when you fly towards the sun and CMOS will also perform worse in low light. CCD cameras are larger and heavier but they make up for it with superior image quality. Most people are willing to sacrifice and use the heavier and larger CCD for the image quality. It doesn’t matter if you save a few grams when you can’t see and end up flying slower because you lack the confidence to fly fast. This is a CCD camera, the one on your phone is CMOS.